Raised in a musical and cultural family in South Korea, he grew up listening to classical composers such as Beethoven, Debussy, and to jazz composers such as Miles Davis and Bill Evans. He studied piano, classical guitar, and often went to the concert hall to listen to classical music. After moving to the United States in 2005, Jung expanded his knowledge on instruments by learning electric guitar, bass, and drums. He enriched his musical education by earning a Bachelor of Music in Composition and an Associate of Applied Science in Music Production from McNally Smith College of Music. While in school, he studied under internationally recognized arranger, orchestrator, and composer Adi Yeshaya (Prince, Whitney Houston, The Voice, Wynton Marsalis﻿, etc.) and a Hollywood Composer/Orchestrator Sean McMahon (Spider-Man 3, The Grudge 3, Fantastic 4, etc.) 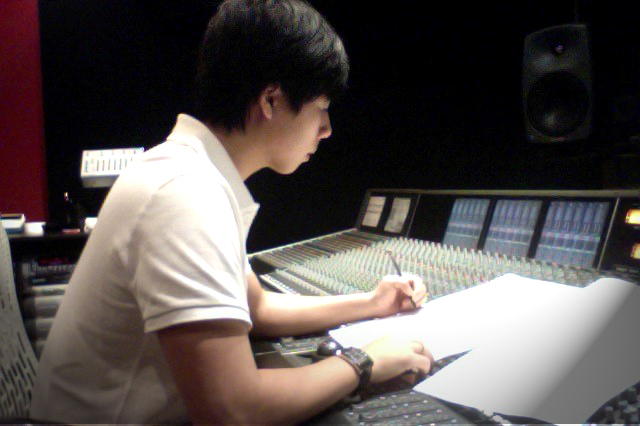 An avid fan of cinema, he aspires to compose for the movie screen and strives to become as great film composers as John Williams, Alexandre Desplat, and Danny Elfman. Jung’s diverse musical background as a classical composer, keyboardist, drummer, and guitarist gives him the versatility to compose in many different genres of music. He combines eastern and western classical orchestration to come up with innovative and unique soundtracks. He composed music for short films, small bands, and orchestra. He is currently working as a music programmer for a prolific hollywood composer Christopher Young. Copyright 2014-2015 Jung J. Lee. All rights reserved.